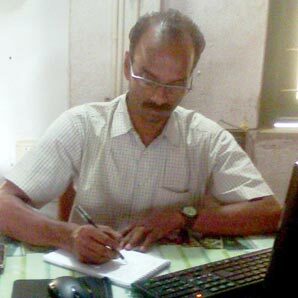 B.Sc from A.B.N Seal College, Coochbehar under North Bengal University, West Bengal, India and Diploma in Computer Education, Mr. Manas Chakrabarty is a senior most team member having an experience over 32 years; He has got vast experience in social sector working with various renowned national and international organizations like Lutheran World Service (LWS), Water for People (WFP) etc; he is responsible for project designing, MIS development, supervising all programmes, support implementation planning in all programme teams, monitoring, support in technical aspects of programmes, liaising with different government and non-government sectors. He worked in multiple development areas like health, education, water & sanitation, livelihood, disaster response and allied issues in GOAL supported Model Village Development Programme. He has capacities both for field interventions as well as white color jobs including coordination. He has capacities in proposal writing, report preparation, MIS, communication, coordination; project monitoring, providing knowledge to others as per his experience, field intervention etc. He had undergone numbers of training, workshop & seminars both with in-house and external resource/institutions. Apart from in-house trainings Mr. Chakrabarty attended various courses/trainings organized by Skip & Search Bangalore, Xavier's institute Ranchi, Jharkhand, Rama Krishna Mission Narendrapur, Oxfam, Save the Children, CINI Asha etc. Mr. Das has degree in M.S.W from Vidyasagar University with 11 years of experience with multiple development areas like health, education, water & sanitation, livelihood, disaster response. Passionate about public relation, Administration and community development, he brings a great energy and enthusiasm to our team. He has capacities both for field interventions as well as coordination. He had undergone numbers of training, workshop & seminars both with in-house and external resource/institutions. 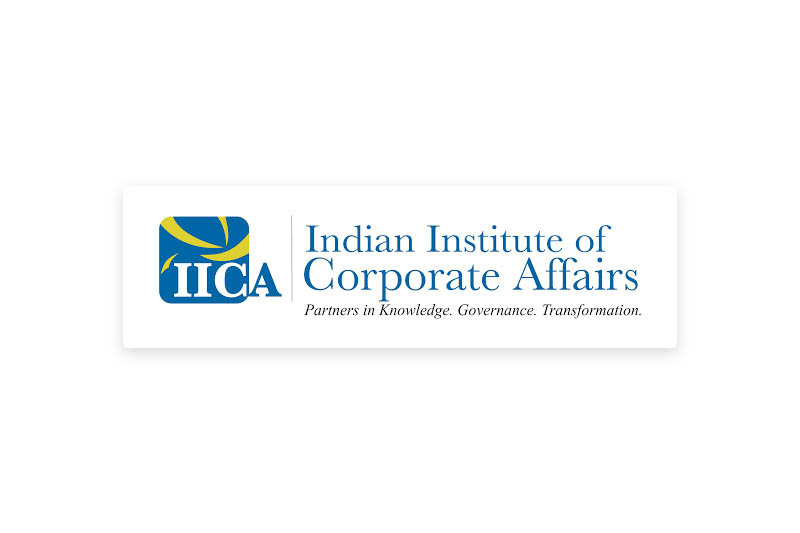 Apart from in-house trainings Mr. Das attended various courses/trainings organized by TISS, Credibility Alliance, VANI, GoWB Dept. of health, Resource Alliance, UNICEF, Fk Norway, etc. 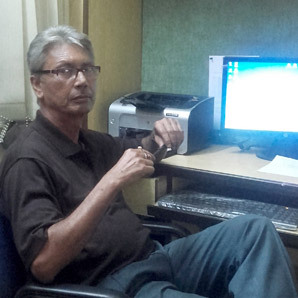 Mr. Das has associated with Sabuj Sangha as a volunteer since 1998 from his college life. At present he is responsible for fundraising, planning and developing strategies, identify gaps and liaison with stakeholders and potential donors and also working with finance team for financial planning. B.Sc (Hon.) 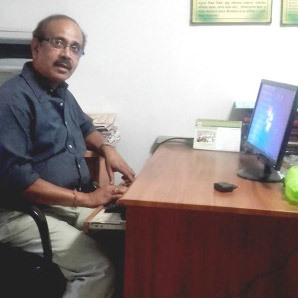 from Guwahati University, Assam, India Mr. Sajalendu Deb is a quite experienced professional with 34 years of total experience; he is responsible for organization and programme budgeting, budget control, preparing cash – flow, finance management and supporting internal audit. He has started his career from Citizen Volunteers Training Centre in Imphal, Manipur as an Accounts Officer. 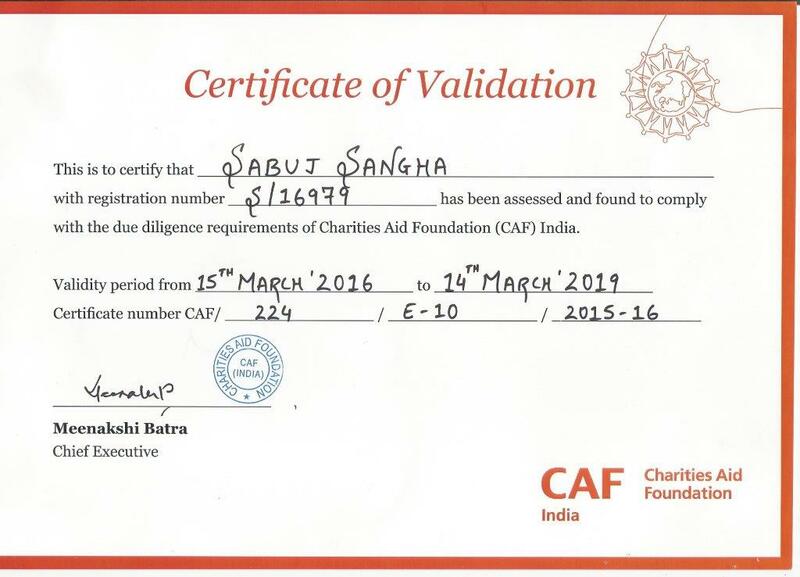 He is associated with Sabuj Sangha with almost 15 years. He has participated in different training programmes namely on Financial Management organized by FMSF, New Delhi, India, training on Financial Management & Accountability organized by IGSSS etc. 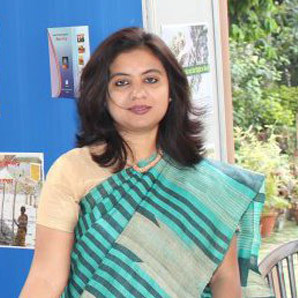 M.A in Comparative Literature from Jadavpur University, Kolkata, West Bengal, India, Ms. Tanzeena Mukherjee has worked with different renowned national and international organizations like Participatory Research In Asia (PRIA), HomeNet South Asia (HNSA), Centre for Science, Development and Media Studies (CSDMS) etc; She has got 14 years of experience in the sector with varied thematic areas like Education, Livelihood, Women Empowerment, Globalisation, Climate Change etc. Ms. Tanzeena is quite committed and efficient development professional and responsible for Proposal Development, Assisting Director, documentation, MIS development, monitoring & evaluation, data / report preparation and compilation, IEC development and publications for Sabuj Sangha. 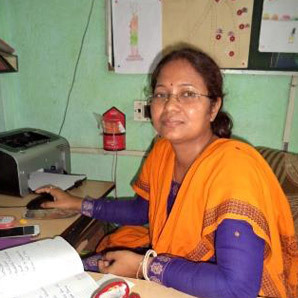 She has been associated with various Research Studies throughout her working career like "Challenges of Life and Livelihood" (A study in 45 villages of West Bengal, Jharkhand and Odisha), 2012 or "Recognising Women's Status in Eastern India" (A study in 55 villages of West Bengal, Jharkhand and Odisha), 2012 and organised various National as well as International level Conferences namely Annual Conference on 'Citizenship and Governance', New Delhi, PRIA or Regional Conference of City Authorities on Homebased Workers, Pattaya, Thailand, HomeNet South Asia, 'Steel Ecotech 2006', New Delhi, UNDP / GEF Project (Steel) etc. She has also participated in Training Programmes namely Interactive Learning Workshop Performance Measurement, Management and Reporting System, New Delhi, UNDP / GEF Project (Steel), Outcome-Impact Orientation Workshop, Kolkata, West Bengal, SPAR, Training on "Leadership and Organising", Ahmedabad, Gujarat, HomeNet South Asia etc. B.Sc from Tamralipta Mahavidyalaya, Tamluk, Purba Medinipur, West Bengal, India with 21 years of experience, Mr. Asok Kumar Bhattacharya is associated with the organization since the beginning; he is a very passionate development professional and presently responsible for overseeing all administrative aspects of the Sundarban region, support in preparing action plans for programme teams, overseeing financial monitoring of the Unit. 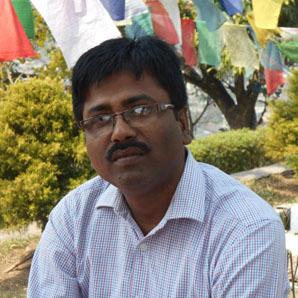 Earlier, he was responsible for looking after HR & Administration of the Organisation, and mainly Projects dealing with SHG groups, their capacity building on group dynamics, financial management and institution building; along with this, he has also been associated with Projects on Livelihood and Water, Sanitation & Hygiene. Apart from these, he has attended several trainings on 'People's Participatory Process,' by SPAR 'People's Participatory Planning, ' by SPAR 'Participatory Strategic Planning,' by SPAR, TOT Level Training on' Community Led Total Sanitation (CLTS), organized and facilitated by GOAL – India, International Workshop on Sustainable Water Management, Organised and facilitated by Bengal Engineering and Science University, Shibpur, West Bengal, Safe Water, Sanitation And Hygiene Promotion, Organized by Water For People- India Facilitated by Institute of Public Health Engineers, India, SHG Formation, Strengthening And Institution Building, Organized and Facilitated by CARE- India SHG Accounting and Financial Management, Organized and Facilitated by CARE- India etc. B.A. 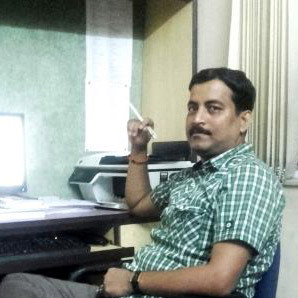 from Calcutta University, Mr. Soumitra Jana is quite vigorous professional with 15 years of experience; he is responsible for maintaining statutory matters related to finance / accounts, IT, FCRA returns, annual audit and maintaining fixed asset and quite passionate about it. He has started his career with Sabuj Sangha in 1998 as an Educator and improved his skills through acquiring technical knowledge about managing books of accounts and also keeps himself updated about the latest Tally versions. He has attended several trainings on finance management organized by different organisations namely FMSF, Tally Solution, Guidestar etc. M.A.with B.Ed. 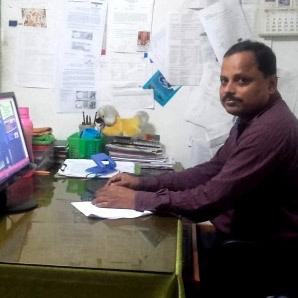 with 17 years of experience, Mr. MontuMondal is a committed development professional and responsible for overseeing all administrative aspects and programme implementation. 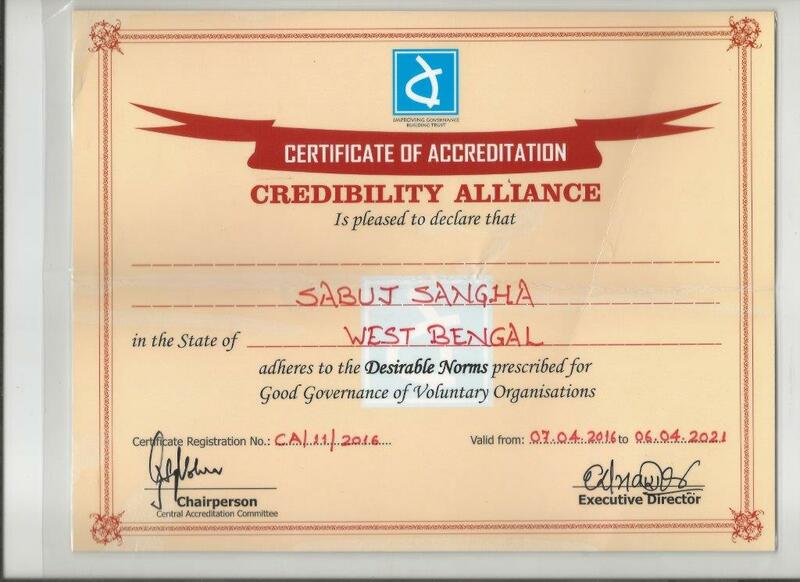 He is an in charge of North Bengal region.